Provide comfort for the family of Jerry Huntley with a meaningful gesture of sympathy. Mrs. Jerry Huntley, 68 of Forrest City, died on January 21st, 2019, at Forrest City Medical Center in Forrest City, AR. Mrs. Huntley was born February 13th, 1950 in Forrest City AR, to the late Mr. William Huntley and the late Mrs. Bonnie Crawford Huntley. Survivors are her children; Mr. Anthony Tate, Mr. Marquise Tate, and Mr. Nakia Hunter all of Forrest City, AR; brothers, Mr. Tony Huntley of Palestine, AR, and Mr. Roy Huntley of Orlando, FL; sisters Mrs. Annette Smith of Marianna, AR, Mrs. Rita Bohannon of Memphis, TN, Mrs. Alveria Wells of St. Louis, MO, Mrs. Constance Smith of Houston, TX, Mrs. Pamela Brooks of Chicago, IL and 5 grandchildren. She is preceded in death by her brother Mr. Larry Huntley and her sister Mrs. Doris Coleman. The Funeral Service for Mrs. Jerry Huntley will be Saturday, January 26, 2019, 11:00 am at CLAY FUNERAL HOME, Forrest City, AR. Interment will be in Casteel Cemetery, Forrest City, Arkansas. The family will receive friends from 1:00pm - 5:00pm on Friday, January 25, 2019, at CLAY FUNERAL HOME, 2522 East Broadway, Forrest City, AR. To send flowers in memory of Jerry Lynn Huntley, please visit our Heartfelt Sympathies Store. 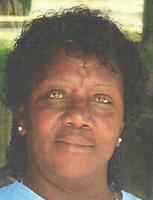 Provide comfort for the family of Jerry Lynn Huntley by sending flowers. To the Huntley family you have my sincere condolences for the lost of your love one my dear cousin Jerry, words are not enough at a time like this I would like you to know that you are in our thoughts and prayers during this difficult time, God Bless we love you. To the Huntley family I offer my deepest condolences for the loss of your love one! Words cannot express our sorrow. We know when we lose a loved one here on earth; God gains an angel in heaven. My thoughts and prayers are with your family. No one can prepare for a loss but may our Lord bless and comfort you and your family during this time of grief. May her soul now Rest in Peace in the arms of our Lord Jesus Christ.